I have one strong reader, two emerging readers, and one little one who’s begging to learn to read. Our house is filled with books. I read aloud to my kids daily. I also have them read aloud to me daily. However, I felt that my kids were not making personal reading time a priority. I want them to read and read and read! So for the new year, my husband and I created a reading challenge for our family. It was based on the idea from the Read Aloud Revival at Amongst Lovely Things. You can read more about her winter reading challenge. We challenged our 3 oldest kids to read individually for 20 minutes every single day. To encourage their reading we set up a two-fold reward system. Every day that they read for their 20 minutes, they would get 15 minutes to play a game on the iPad or iPod. At the end of the month, if they have completed their individual reading challenge every day, they will collectively earn some money that can be spent on an item that they choose together. Some months we might buy a prize and keep it on top of the fridge to motivate them each time they see it. Either way, there will be a monthly prize. We chose to do a two-fold reward system so that our kids could experience the instant gratification reward of having game time each day after completing their reading. However, we also wanted them to experience the delayed gratification of receiving some spending money at the end of the month. The first reward is an individual reward to spur them to continue their own personal reading time. However, the second reward is collective. They want to earn their spending money together so they are constantly asking each other if they are reading. This eliminates the need for me to remind them as they are reminding (or maybe nagging) each other to finish their reading. I printed off a simple calendar page for each month and posted it in the kitchen. When my children complete their reading for the day, I write their name on the calendar for that day. When they tell me they finished their reading for the day, they have to tell me a little bit about what they read. They love telling me about what is happening in their books. They relish being the story-teller and pulling me into their books, sharing their reading journey with me. It also helps me assess how well they are understanding what they read. It’s a win-win! 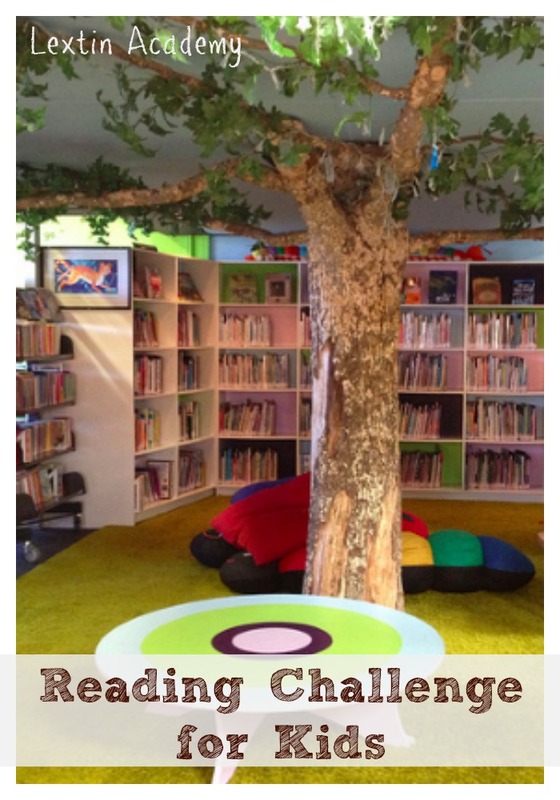 My kids have been excited about the reading challenge and are begging for more books. They are also sharing their stories with each other and encouraging one another to keep reading. Do you create reading lists or challenges for your kids? If one of your goals for the year is to encourage a culture of reading in your home, I hope you will start your own family reading challenge. Here are some of the books on my kids’ lists if you need inspiration to get you started! I’m sorry it’s so hard to get English books to you. And I wish you had a nice library. We’re fortunate that we live near our library. Is there a way to block the other books on the Kindle or set some type of parental controls? My daughter has an old Kindle that doesn’t allow her to add books or access the internet. That Kindle has worked well for us.